This was such a heartbreaking novel but one that reminds everyone that there hope can lead to the light at the end of the tunnel. The Good: The language of the writing was superb. From the very first line all the way to the end I was captivated by what Bebe had to say. There were some lines that were so visceral I had to reread the line again. Pg. 5 Bebe says, “My love for Aaron was so acid it scraped my veins raw.” Can you imagine loving someone so much that you feel it into your veins, you feel it so much you think one wrong step and your veins will be stripped completely bare? This is how Bebe’s love for Aaron came across to me. That deep. She was a very interesting character to me. While reading about her addictions and recovery process I almost imagined her being on the show Intervention…it was that realistic for me. I felt like Bebe’s road to redemption was about as slow and steady as it could be for someone recovering from not only her own demons but the loss of a life of someone she loves. The sobriety house she lives in “Serenity” and her fellow comrades are all grounded in reality and they feel so close to me now that I feel like I could turn the corner and see Buck or Violet. I can feel the sense of urgency for Bebe when she wants to graduate cosmetology school, not because it’s such a great career, but because it’s an achievement that Bebe didn’t think she could do. It’s a step in the right direction…it’s her way of moving on from her addictions and the past. Her gay friend, Javi, is a hoot and I totally love the role he plays in the novel. 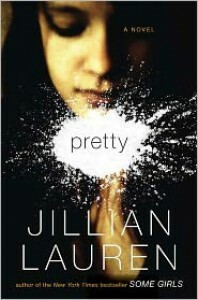 The other thing I LOVED about this novel is the way Jillian Lauren portrayed the mentally ill Jake. He is schizophrenic with delusions of being God, Jesus or both. I thought she handled it very realistically and showed the spiral these people go through when they are off their meds. The relationship between Jake and Bebe is so unbelievably sad. 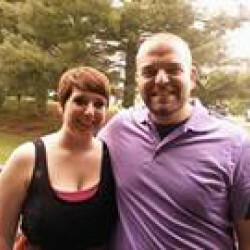 Jillian Lauren is able to show how it is possible to fall in love with someone who is mentally ill, but the probability of it working is slim. It really is heartbreaking. The ending though is so perfect for this novel. It isn’t overly positive but it’s not negative either. It’s the right mixture of happy and hopeful. I loved this novel! The Bad: Nothing negative to say about the novel! Overall, this was a beautifully written, harrowing novel. It grabs at every part of you until you are forced to feel what Bebe is feeling. So marvelous. A!! !